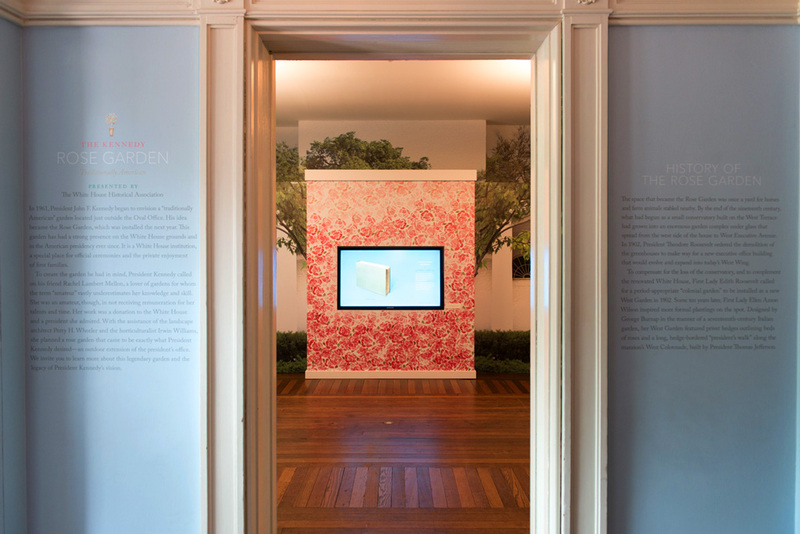 Through our work for WHHA’s Kennedy Rose Garden, Traditionally American exhibit, we created an immersive, sophisticated experience that brought visitors one step closer to a previously unseen piece of history: Jackie Kennedy’s personal scrapbook. 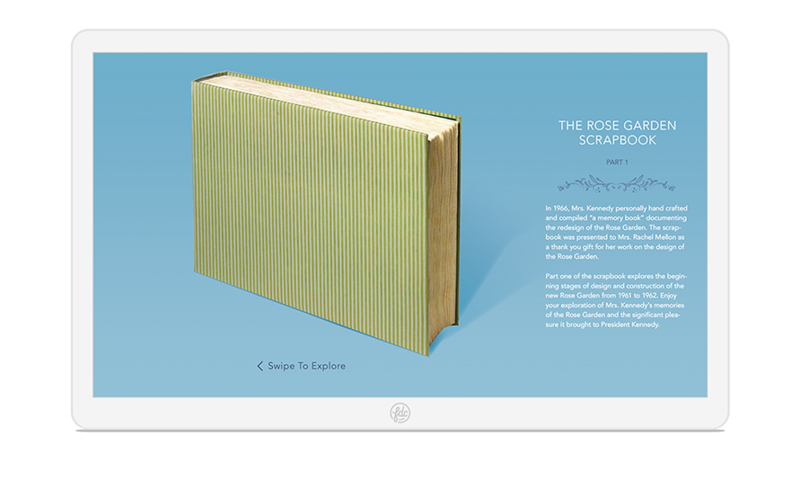 We introduced rich photography and handwritten notes to the public through a digital replication of the scrapbook, thus preserving the fragile book, and allowing otherwise improbable public access to over 150 pages. 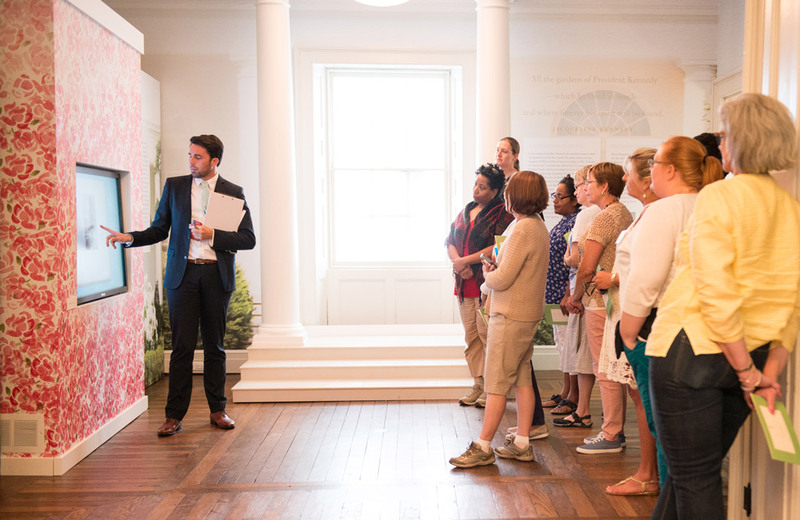 Our digital experience utilized two 50” touchscreen TVs, and allowed visitors to flip through each page of scrapbook—filled with photos, blueprints, personal sketches, and notes that capture the creation of the Rose Garden. For more information about the exhibit visit the Washington Post overview.